One of the truly important things every business should be doing is keeping up with the statistics generated by traffic on their web site. If your web hosting company does not provide you with this information, you need to ask for it. You will find a treasure trove of information about the visitors to your site, how they are finding you through search engines, how long they look at your site, how many pages they view… on and on the statistics go. However, when you are taking a look at your web site statistics for marketing purposes, there are certain numbers that should catch your attention and others you should completely ignore. So what are the most important numbers to look at on your web site? First of all, visitors and page views. A visitor is anyone who accesses your web site. For instance, if you were to look up our Yaney Marketing web site right now, we would record that you are a visitor to the site. Our visit log would record a "1” regardless of how many pages you looked at or how long you stayed on the site. If you logged off the site and came back in one hour, browsed through our site once again, you would again be counted as a visitor to the site. Some stats counters will make a distinction between visitors by logging unique visitors (based on whether or not they have been to the site before this visit) and calling them either return visitors or new visitors. Counting the visitors to your site will give you a good idea of the effectiveness of your web site and your marketing efforts to drive traffic to your site. Page views are simply the number of pages the visitors browsed while on your site. Some stats counters will give you the average length of time spent on pages. By examining the stats on your page views and the specific pages that are being looked at, you will get a good idea of the impact of each page of your web site. Some other important stats related to your visitors are date and time numbers. This records the actual date and time when a visitor came to your site. You will begin to see some trends. For instance, if I see that the majority of my traffic happens at 10:00 a.m. Monday – Thursday and I want to post important news about my company on the site, I want to make sure I am taking advantage of this peak time. Other items you should pay close attention to are the entry and exit pages to the site. An entry page is the first page opened on the site. This will give you a good idea if the person has bookmarked a particular page or found it in a search engine. Exit pages are the last page looked at before the visitor logs off your site. The importance of exit page tracking is based on the assumption that a visitor will keep looking for the precise information they need on your site and then log off. Exit pages will give you a good idea of what the visitor was looking for on your site. There are other important numbers recorded on your web site related to how your visitors found your site. Search engine activity, key words and key phrasing will give you an idea of the number of visitors that came to you through a search engine like Google or Yahoo. You should also take a look at the number of mobile devices vs. computer browsers. What platforms are being used by your customers? More and more business e-biz is being done over 3G phones. For instance, if you have a lot of mobile traffic, you may want to consider the format of your web site. Does it fit on a phone screen without horizontal scroll bars? Has it been built with fixed or flexible pixel widths? Another thing to consider is the amount of text on a page. Small text on a phone will need to be magnified to be read. Zooming is not a big deal with a smart phone; however, scrolling through yards of text can be quite cumbersome. There are stats on every web counter that are great for the programmers, but mean nothing to marketing. Bandwidth is one such stat. Unless you are concerned about loading speeds, bandwidth is not something to which you should give your attention. Hits is another useless number. A hit is the number of times a page changes. For instance, if you go to our home page, there are eleven hits to open it. Don’t confuse hits for visits or page views. One last thing to remember in your web site statistics is that not every visitor is a live human being. Search engines typically send out web spiders and bots to monitor the content of a site. Simply put, these are high speed programs that gather the content of your web site, analyze it, and put it in a search engine library. If you have ever wondered how Google knows when you have made a change on your web site, this is how they do it. When you are measuring the amount of visits to your site, make sure you are separating the spiders from the real visitors. Web stats can be overwhelming because so much is measured. If you are new at this, my advice would be to pick out a few stats and start to analyze them. We generally focus on a few important stats and chart them for our clients month-to-month and year-to-year. 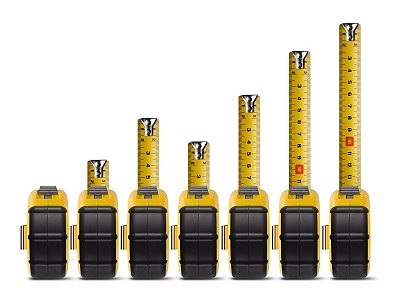 They are a great way to measure your effectiveness in marketing.